The MAJID DRUMS Hamgam Ritual Percussions is a revolutionary piece of percussion. Handmade from plywood, the Hamgam is shaped so that it can sit comfortably on the player’s lap and is easily transported. 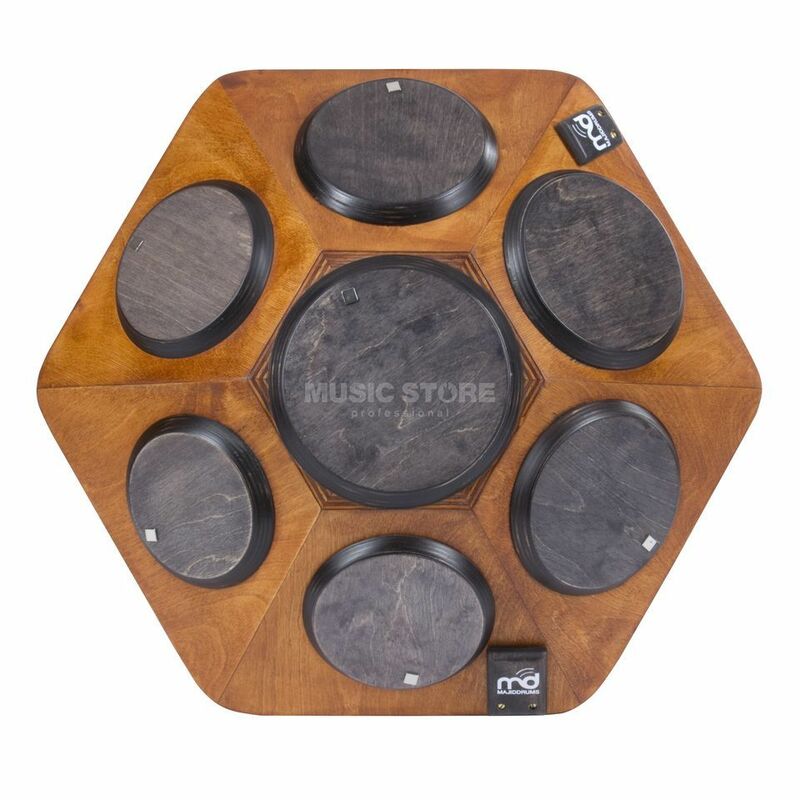 Unlike any other wooden drum, its complex shape and selection of tuneable drum pads contribute to its amazingly warm sound. The Hamgam features 7 playing areas each with an individual drum pad and includes 1 bass pad and 1 adjustable snare pad. Each of the 7 pads are tuneable via a magnet and the player can experiment with endless sound variations. The Hamgam also comes with 2 Kaskaritas for an even further unique sound.